Zillow & Listhub Break Up—Ray Charles Could Have Seen That Coming! Well, its official, Zillow and Listhub have broken up. After their 4 year affair, they are parting ways. For those of you that are not familiar, Listhub feeds Zillow listings—“a few hundred thousand” at the moment. Looks like Zillow will be creating their own dashboard for listing management moving forward. Many brokers and MLS’s currently feed Zillow with listings also and those should not be affected. Well, recently MOVE was acquired by News Corp, which is owned by the mogul Rupert Murdoch. Move owns Listhub, Move runs REALTOR.com, Listhub feeds Zilow. Most people thought that Murdoch was going to cut off listings being sent to Zillow, apparently Zillow felt the same way and has now built their new “Data Dashboard” which is scheduled to roll out in mid January. For sure, if you are utilizing Listhub to get your listings on Zillow that will be disrupted. 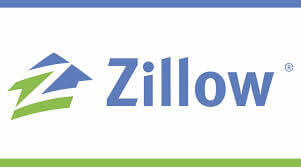 You will need to set up a direct feed with Zillow and manage it via their new dashboard. With Zillow’s pending purchase of Trulia, expect the same thing with them soon. Some feel that Zillow may slightly change their model and start charging for all listings to be placed on their site(s). This could be just the shot in the arm needed for REALTOR.com which already has almost every listed home sent directly to them from REALTOR boards across the country. Expect this break up to get dirty. The big question is…Will real estate brokers and agents go through the trouble of setting up a new way to get their listings on Zillow? I’m pretty confident that real estate practitioners all across the country can expect a call from their friendly neighborhood Zillow salesperson who will be willing to help you out with that. DEAN Knows will keep you in the loop—so check back soon!